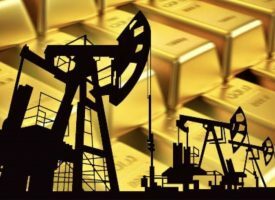 James Turk – Oil Plunges 6 Percent To New Lows But What About Gold And Silver? With the price of oil falling another 6 percent, today King World News is featuring a powerful interview with one of the greats in the business discussing the record leverage at the Comex and the possibility of a final low being in place for the gold and silver markets. James Turk continues: “Nevertheless, despite the selling pressure throughout the day, both gold and silver showed some encouraging resilience. That underlying positive tone provides more evidence to me that the precious metals continue to trade within a 2-tiered market. The two markets are interrelated because they intersect at the spot price of gold, but they are fundamentally different. One tier is the physical market, and the second tier is of course the paper market. In the former, people own physical gold. In contrast, in the paper market, people only own exposure to the gold price. They don’t own gold. 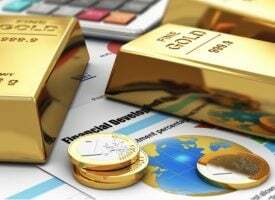 When you own a futures contract, option or gold ETF, you don’t own physical gold. Similarly if you own a forward contract for which someone like a bullion bank is obligated to deliver metal to you at some future date, you own paper-gold. All paper-gold comes with is counterparty risk, which changes gold from a safe-haven to just another financial instrument. A 2-tiered market is rare, but we have seen them before. For example, one developed in March 1968 after the collapse of the central banking cartel called the London Gold Pool. There was a so-called official price of gold at $35 per ounce, and a free-market price, which of course was much higher because it reflected gold’s true value, not some artificial price contrived by central banks. We actually have a 2-tiered market today, but it is not generally recognized as such. Today’s 2-tiered market exists because spot gold and spot silver are trading above their future price, which is not normal. All 2-tiered markets result from government intervention, which distorts the normal market process. Eventually 2-tiered markets fail because assets always have one price, namely, their market price. The future price in today’s 2-tiered market is like the official price in the 1960s. Both are contrived and undervalue gold. In other words, both gold and silver are in backwardation, which is one of many reasons to remain bullish about the potential for appreciation in their prices. Another bullish reason is the price action in the shares of gold mining companies, which are doing okay on a relative basis. 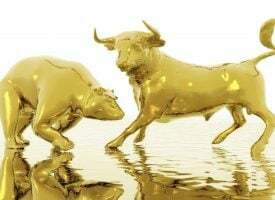 There are also other technical signs that gold and silver have punched themselves out to the downside, like the imbalance between the weight of gold available for immediate delivery on the Comex and open interest. Leverage at the Comex is again near record levels of around one ounce of gold in registered inventory for 300 ounces in open interest. The possibility of a frantic grab for physical metal going into year-end and even extending into the new year remains a real possibility. Also, it is important to note too that gold and silver are starting to trade above some key short-term moving averages, which is one of the first signs that a market is turning. And with sentiment near rock bottom, few investors are watching, which is often another bullish sign that the low in prices have been reached. 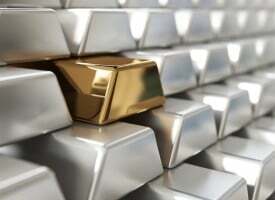 Have We Finally Seen The Low In Gold And Silver? 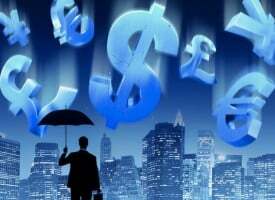 When we take each piece of evidence and put them together, it seems reasonable to conclude that gold and silver prices have fallen as far as they are going to fall. As the saying goes, they don’t ring a bell at market tops or market lows, but we have to remain open to the real possibility that the bell rang for gold and silver with the low prices they touched last week.” ***To hear Dr. Stephen Leeb’s powerful audio interview CLICK HERE OR ON THE IMAGE BELOW. ***ALSO JUST RELEASED: What Is Now Happening In The Gold Market Is Shocking! CLICK HERE. Louise Yamada – What Is Happening In The Gold Market? ALERT: This Remarkable Indicator Is Flashing Major Warning Signals Like It Did During The Great Depression!